Happy July wonderful humans! We’re officially halfway through 2018, which absolutely blows my mind. I am excited though for all that July and August hold, since I’ve got trips to LA, Toronto, Croatia and Montenegro (stay tuned for a ton of travel content on that!) Today though, I wanted to share with you the top ten purchases of June – in terms of what you guys have purchased of the items I have shared this past month. These pants are such great pants for the office. I also have them in black and love that they look professional but are really comfortable. I’m still on the hunt for white jeans (ughhh, why is it so hard to find white jeans?!) but I’m pleased that I have at least found great white wear to work pants! I am so happy you guys liked these pants as much as I do. They’re so versatile, I’ve worn them to the office so many times already! I also wore them to brunch this past weekend with a white ruffle crop top and loved the look. So summery! Favorite purchase of the yearrrrrr right here. 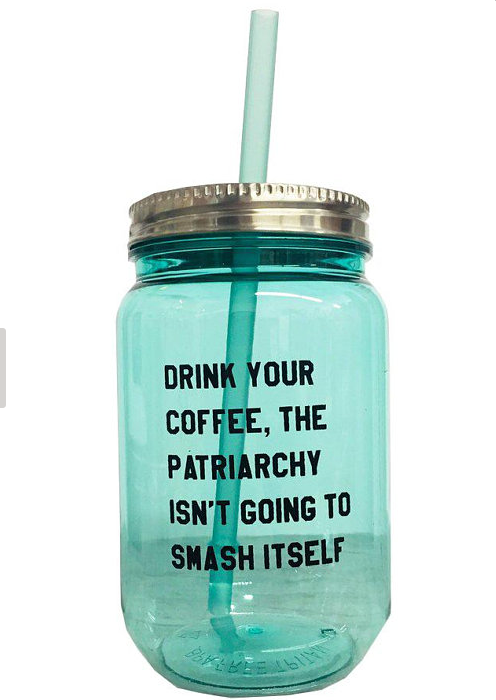 This tumbler makes me smile every damn day. Grab one for yourself (of course) but also this makes such a great gift if any of your boss babe friends have birthday’s coming up! Ps. the photo I share this in (on instagram) is shown later on in this post since another item I’m wearing in it is also one of the top ten purchases of June! My go-to date night look for June was this floral square neck dress, and I love that it’s affordable as well. Such a great item to add to your closet for summer nights out! 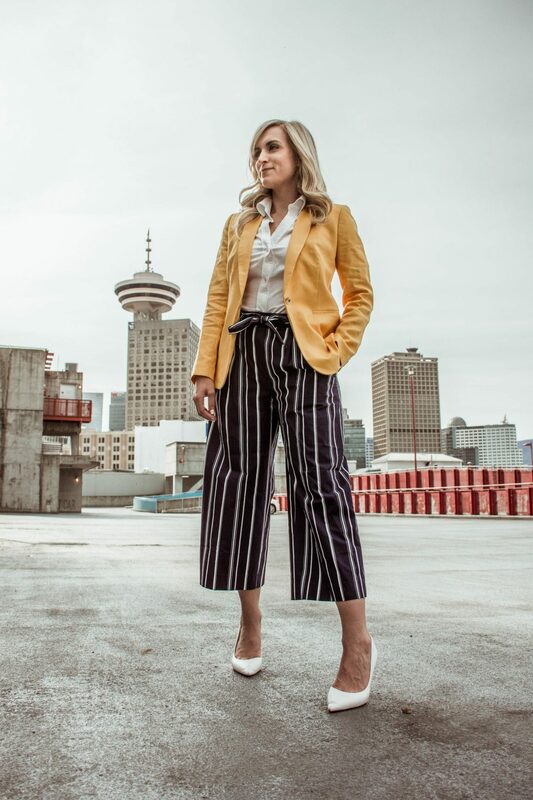 If you missed this instagram photo/story, basically this jumpsuit has become my go-to when exploring Vancouver! It’s comfy, stylish and doesn’t wrinkle easily. I’m wearing it here with the halter strap, but it’s really cool that the strap is removable so you can also wear it as a strapless sweatheart neckline jumpsuit as well! I shared this on Like To Know It App (reminder to download the app and follow me @legalleeblonde on the app if you haven’t already, since I share outfits there that I don’t post on IG or share on the blog!) I love this little set for summer, and it’s under $25! You can tie this shirt three different ways which is really cool! Another Like to Know It photo, this is an outfit I wore to work last month and loved the Parisian vibe of it. The shoes are some of my favorite dupes / designer lookalikes. They are Sam Edelman and undr $150, but they are dupes of the over $1000 Chanel version. Love em! How cute is this hat!! I love the more fall/winter shape (a Captain’s or Cabby’s hat) in a summer color. Such a cool piece. I have been shouting the praises of these heels allll month long. You probably noticed that I’m actually wearing them in three of the photos in this top ten purchases of June post! They are SO comfortable and for the price I am so impressed. I’m legitimately thinking of stockpiling and ordering another two pairs now before the sell out so that when these ones break down, I’ve got replacement ones on hand. 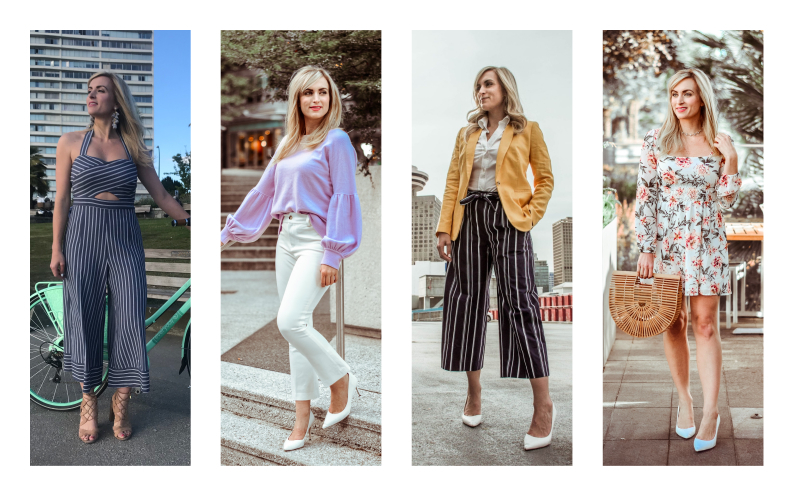 Considering I only shared this blazer here on the blog and instagram last week, I couldn’t believe my stats that this is the most purchased of the top ten purchases of June 2018! You guys clearly swooned for this blazer as much as I did. 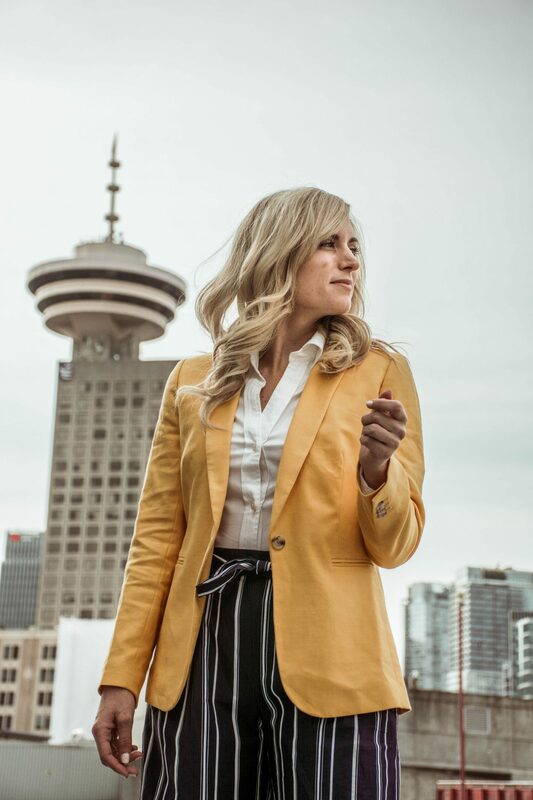 I just love the quality and fit of this blazer (I have it in a lot of colors) so adding in this yellow one for summer was a no brainer. "Holiday Weekend Sale Alerts! (June 29th – July 5th)"
"Intersectional Feminism – And How This Upper-Middle Class White Girl is Learning To Be a Better Feminist"
Thank you so much! Aww I love that! Sounds like it will be a perfect outfit for Amsterdam! These are all great items to shop for! My favorite is number 6! How cool is that that it is also convertible?! A winner in my opinion. Thank you so much! And ahh yes! The convertible neckline is such an awesome addition to that romper. Glad you like it! So glad you like it! It’s such a fun one. SO many cute outfits and versatile pieces! I love those striped tie-waist pants. Thank you so much Kim! The tie-waist pants are definitely awesome. I was surprised at how many outfits I’ve worn them with! That jumpsuit and the floral dress are giving me all the feels. You look so fab babe. Aw thanks girl! I highly recommend both!! Love the striped two piece set! too cute! Thanks Emily! It’s so fun for the beach! Yes to those Chanel shoes dupes and your convertible halter jumpsuit!! Honestly, I love all your top purchases! Thanks so much Laura!! I’m so glad you like them all! The Chanel shoe dupes are so great – I just found another pair that is a dupe of the Chanel pearl heel pump and I can’t wait to share it with you all ! Ooooh those striped pants and the white shoes are definitely calling my name. So much cuteness going on! Aw thanks girl!! Ahhh you NEED to try the white heels, I can’t believe how comfortable they are! You have some great outfits. Love them all. Thanks for sharing at Creative Mondays 🙂 Hope you can join us tomorrow. Thanks Claire! Hope you’re having a great week! I am laughing so hard at that tumblr, I need it for myself and all of my friends lol. I really love all of your outfits too! Haha RIGHT!? It seriously is so freaking amazing. Love all your picks but the blue striped jumpsuit is my favorite for sure! Thanks Kristina! That jumpsuit has been so popular, and it’s so comfy! I love the jumpsuit and striped culottes. I see so many outfits here I’d love to wear to work! Aw thanks Megan!! The striped culottes also come in navy and white stripe – I’ve been thinking about getting them as well too! That yellow blazer is my fave! Such a fun summer piece! I love your options and totally agree that your picks are top! Aw thanks so much Ruth! I’m loving your outfit selections!! Those striped pants and two piece are so cute. Thank you so much Angelle!